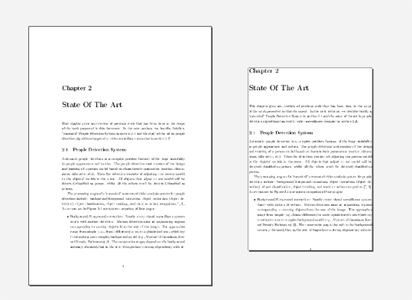 If you have a Sony Reader PRS500/PRS505, but you can't read the PDF files properly because the large white margins in these PDF files, these page margins are take a lot of screen space, it is a really bad reading experience. Also, one of the most annoying things about PDF files are their fixed font size, the only real way of getting a better view at the text is to zoom the whole page in. 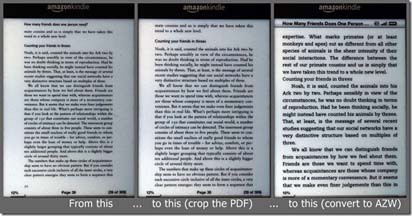 This isn’t really a fix for that annoyance but it’s a way of getting more info to screen ratio by removing the wasted white space around the body of the file for each page, this really comes in useful when displaying PDF files on your Kindle, Nook, Smart Phone or other eBook Readers. VeryDOC PDF Margin Crop is a simple, lightning-fast desktop utility program that lets you crop or removes the white margins (space) of PDF pages. You needn't input the margin values by manual, the product can detect and cut the margins automatically. The resultant PDF file is readable on relatively small devices (Sony Reader PRS500/PRS505, iRex Iliad, Sony Librie, LBook eReader, Cybook Gen3, Jinke etc.). It is support all type of PDF files, include text based PDF files and scanned PDF files (image based PDF files). It’s really simple to use and by default it crops all the white space from around PDF page, it does this per page rather than for the entire document which allows for the best results. Crop margins out of PDFs to them reader friendly for your Kindle, Kobo or other e-reader device. Do you trying to find a tool to crop PDF file and get rid of margins? If yes, VeryDOC PDF Margin Crop will be your best choice!